Your yearly family income must be less than the amount set by Congress to qualify for the Survivors Pension benefit. If eligible, your pension benefit is the difference between your "countable" income and the annual pension limit set by Congress. VA generally pays this difference in 12 equal monthly payments. Net worth is the sum of a claimant’s or beneficiary’s assets and annual income. You should report all of your net worth. For purposes of entitlement to Survivors Pension, the net worth limit effective December 1, 2018 is $127,061. Your Survivors Pension is calculated to be an amount equal to the difference between your countable family income and the annual pension limit set by Congress. If, for example, the annual income limit on December 1, 2005, for a spouse without a dependent, as set by Congress, is $7,094 and your income is $6,000, your VA Survivors Pension will be $1,094 ($7,094 - $6,000 = $1,094) paid in monthly installments. If your total countable income is more than the $7,094 in this example, then you are not eligible for VA Survivors Pension for that year. You may reapply again at any time your countable income falls below the limit. If your medical expenses for a year are $8,000 and your medical insurance pays $6,400 of that, your unreimbursed medical expense is ($8,000 - $6,400) $1,600. The unreimbursed medical expenses must exceed 5% of $7,094, or $354 to be deductible. Since your unreimbursed medical expenses ($1,600) in this example are greater than $354, the portion of the unreimbursed medical expenses that exceed $354, or $1,246, may be deducted from your total combined income which then increases the amount VA will pay to you. The ($1,600 - $354) $1,246 out of pocket medical expenses will reduce your income from $6,000 to $4,754 ($6,000 - $1,246). 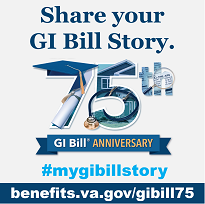 Your VA pension would then be $7,094 (maximum rate for a spouse with no dependents) minus $4,754 (total income after deducting unreimbursed medical expenses), or $2,340 for that year. Warning: Pension recipients at risk of financial exploitation. This is a warning about dishonest individuals who prey on those who receive pension benefits with regular aid and attendance. There have been reports of scam artists targeting and taking advantage of Veterans receiving these benefits.